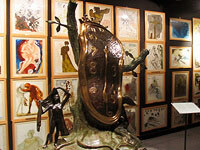 The Moulin Rouge is, of course, a very famous and historic Parisian cabaret, located in Pigalle, Paris' red light district. The joint has been open since 1889, and you can still see a show there if you're willing to drop a couple hundred euros. The name Moulin Rouge means "red windmill" (very creative!). And there really was a giant elephant-shaped room in the courtyard back in the day, just like in the movie. 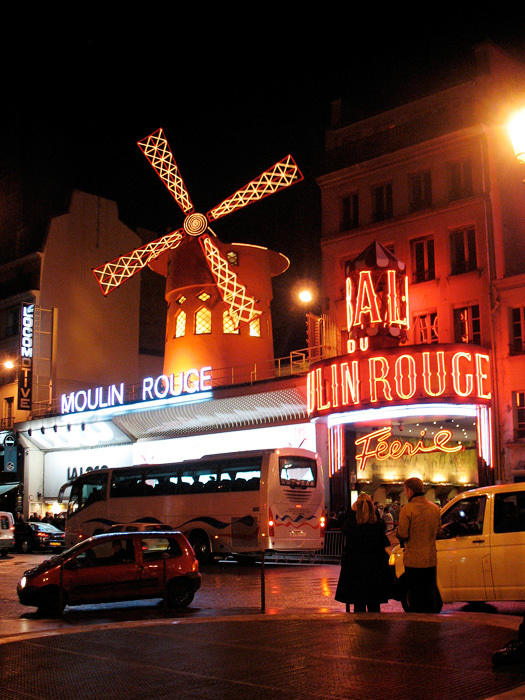 It's pretty easy to get to the Moulin Rouge; simply take the Métro to Blanche and look for the big light-up red windmill. There's a great spot to take a photo; diagonally across the street there's a traffic circle with a slightly raised ventilation grate that you can stand on to be perfectly photographed next to the Moulin Rouge. For better or for worse, everyone takes their picture from there, so every single picture of the Moulin Rouge is exactly the same. But, when in Rome!Paris!